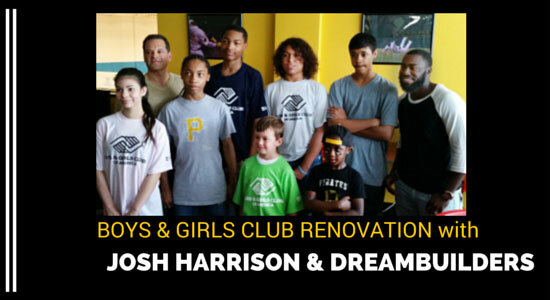 "I just want to be able to give back to kids who may not be in a situation where they have everything they need," says Pittsburgh baseball star Josh Harrison. "Just a little show of faith from guys like Edgar Snyder & Associates and guys like me may be the difference in a kid saying, 'Somebody does believe in me.'" This was the motivation that led to our recent renovation of the Sto-Ken-Rox Boys & Girls Club in McKees Rocks, PA. Along with Josh and Dreambuilders, an organization that partners athletes with nonprofits that help children, we created a baseball-themed learning lab for the 100 kids that use the Sto-Ken-Rox Club every day. The learning lab now has new carpet, paint, ceiling tiles, desks, chairs, tables, and updated computers. "It is important to keep a welcoming appearance so that the children feel special when they walk in. This particular space had a high volume of traffic, and everything was beginning to wear down," says Kevin Nicholson, Branch Director of the Sto-Ken-Rox Club. 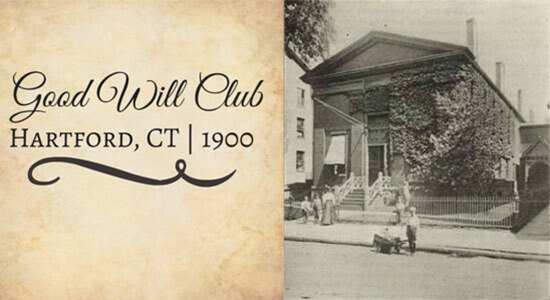 Boys & Girls Clubs of America was started in 1860 in Hartford, Connecticut by Mary Goodwin, Alice Goodwin, and Elizabeth Hammersley. Originally called the "Boys Club," the founding members wanted to create a safe place where boys could spend time so they wouldn't roam the streets. A focus on character development was at the core of the Club's mission, and an informal mentoring system was put in place to help the boys improve their behavior and develop their personal expectations and goals. Boys & Girls Clubs are still crucial to providing a home away from home – and guidance – to children. "Our Club is vital to the surrounding community. It offers a place for these children where they can feel safe and be off the streets," says Mr. Nicholson. "Many of our youth members arrive after school and stay well into the evening. Here, they can get their homework done, eat a meal or snack, and play. But most importantly, they can socialize and interact with their peers." Our law firm is proud to be a part of making the Sto-Ken-Rox Club an even better place for kids in the community, and we'd like to thank Dreambuilders for their work in helping children in our region and across the country. If you are interested in finding a Boys & Girls Club near you, feel free to check out their website, and if you are part of a nonprofit organization that is interested in working with a local athlete, you can get in touch with Dreambuilders. Source: "Our History." www.bgca.org. May 15, 2015.